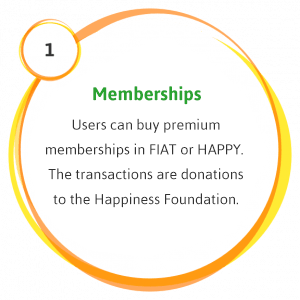 The happiness token (HAPPY) is a utility and payment token issued by the Happiness Foundation. 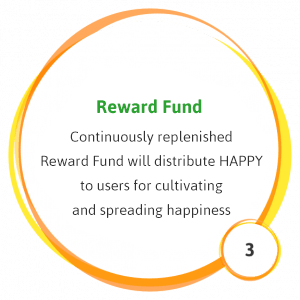 It aims to incentivise the cultivation and spreading of happiness through gamified cryptocurrency rewards. HAPPY will be the world's first and only liquid secondary market for one of humanity's greatest needs - happiness. Composed by a Swiss-based non-profit Foundation, a social network and a MOOC Platform, the Happiness ecosystem intends to connect people who are looking to grow spiritually, improve their mental health and share practices with others. The community is where people create profiles and connect with others through messages, video chat, classifieds, events and forums to share topics of spirituality, self-growth and improvement of mental/spiritual health. HAPPY is used inside the community to unlock premium features (utility), ticket sales, event promotion, advertisement and other services (payment). The Happiness Academy is a Massive Open Online Course (MOOC) platform where anyone can enroll in interactive online courses around wellbeing, mental health and happiness. HAPPY token can be used to pay online courses, 1:1 coaching & therapy sessions, and to buy gift vouchers for the Happiness Academy. Premium memberships purchased in the social network act as recurring donations to the foundation. It promotes widespread adoption of the HAPPY token and liquidates it back into FIAT. 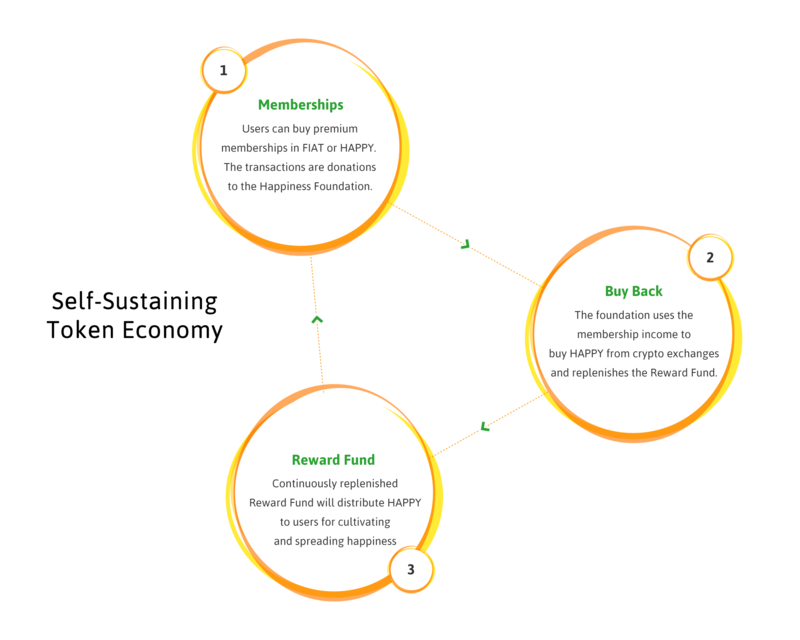 FIAT donations are used to buy HAPPY from crypto exchanges to replenish the Reward Fund and distribute it back to the users. Emerging in a time of severe human friction and crises, the happiness token is a novel attempt to accurately and transparently reward an unlimited number of individuals for making subjective contributions to our human collective. Sophisticated machine learning algorithms ensure a safe and immediate distribution of HAPPY to users who cultivate or spread well-being. Users are rewarded with HAPPY for cultivating and spreading happiness. Social actions such as 'likes' indicate subjective contributions to the community and result in immediate HAPPY distribution. Individual reputation scores ensure that those who are contributing the most value to the ecosystem will have the highest impact on the reward algorithm. While the underlying technology is incredibly sophisticated, the actual user experience is simple and frictionless. Similar to experience points in computer games, HAPPY tokens will be earned playfully through community engagement and meaningful content contributions.